Your future begins now—are you ready? 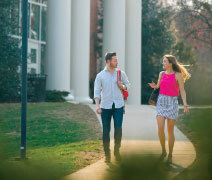 Founded in 1858, Susquehanna University is a selective four-year residential college that educates students in the liberal arts and sciences and provides them with real-world professional experiences, preparing them for a lifetime of personal and professional success. • 98% of students work full time or are enrolled in graduate or professional school within six months of graduation. • 90% of students complete at least one internship, conduct research, or student teach before graduation. • 99% of graduating seniors finish in four years or less. Are you an enterprising, independent thinker? 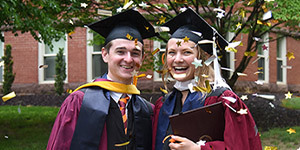 No matter your major or career plans, you will graduate from Susquehanna with the broad-based academic foundation and 21st-century job skills—critical-thinking, writing, teamwork, and communication skills—that employers and graduate schools seek. 98% of our students find jobs or pursue advanced degrees within six months of graduation. More than 2,200 undergraduate men and women from 36 states and 21 countries study in the School of Arts and Sciences and the Sigmund Weis School of Business. Our Business school is AACSB accredited, placing it among the top 5% of Business schools worldwide and providing a great return on your investment. With more than 100 majors and minors—and self-designed majors—available in liberal arts and sciences or pre-professional programs, you can easily combine your talents and interests with your career aspirations. Susquehanna faculty are dedicated scholars and passionate teachers committed to your success. At Susquehanna, an undergraduate institution, you will learn from expert faculty members, not graduate assistants. Many disciplines offer hands-on, collaborative research opportunities beginning your first year of study. 90% of our students complete at least one internship, conduct research, or student teach before graduation. Susquehanna’s student-faculty ratio is 13:1, and the average class size is 19, allowing for close interactions with faculty and classmates. Our classroom spaces are designed to encourage collaborative learning and intellectual and social engagement. Nine out of 10 employers cite intercultural skills as a desirable trait for new employees, and Susquehanna’s nationally recognized Global Opportunities (GO) program will prepare you with the cultural competencies needed in today’s global marketplace. We are one of only a handful of universities to require a domestic or overseas study away experience. You will see firsthand how different social and cultural forces shape the world around you—and discover how you can make a difference. Whether you decide to go for two weeks or an entire semester, you will return more culturally aware and better prepared to be a leader in a diverse, dynamic, and interdependent world. You will experience our deep-rooted commitment to the intellectual, personal, and professional growth of every student on Susquehanna’s residential campus. Outside the classroom, you can choose from more than 150 student organizations and cocurricular activities, service learning, student leadership opportunities, and 23 NCAA Division III sports. You will gain valuable leadership, social, and interpersonal skills in our inclusive and diverse community—and make memories to last a lifetime. Our beautiful 325-acre campus is located in the town of Selinsgrove, Pennsylvania, just two and a half hours from Philadelphia and Baltimore; within three hours of New York City and Washington, DC; and one hour away from the state capital of Harrisburg. You will network with alumni, pursue internships, explore professional opportunities, and have fun! 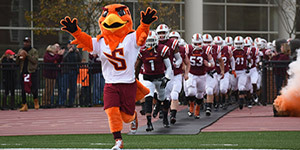 Come discover all Susquehanna has to offer by visiting campus. We’ll introduce you to our dedicated faculty and staff. You can meet current students, sit in on a class or lab, and take in a theater production or sporting event. We can’t wait to meet you!